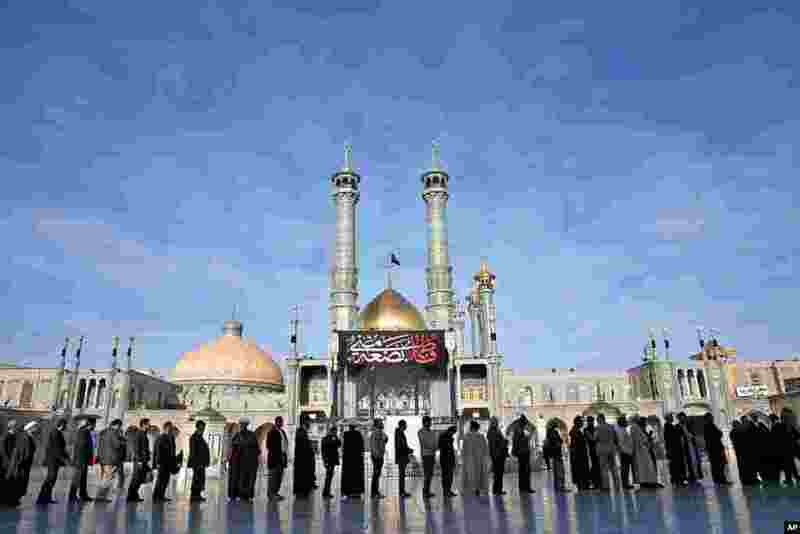 1 Iranians stand in line at a polling station during the parliamentary and Experts Assembly elections in Qom, Friday, Feb. 26, 2016. 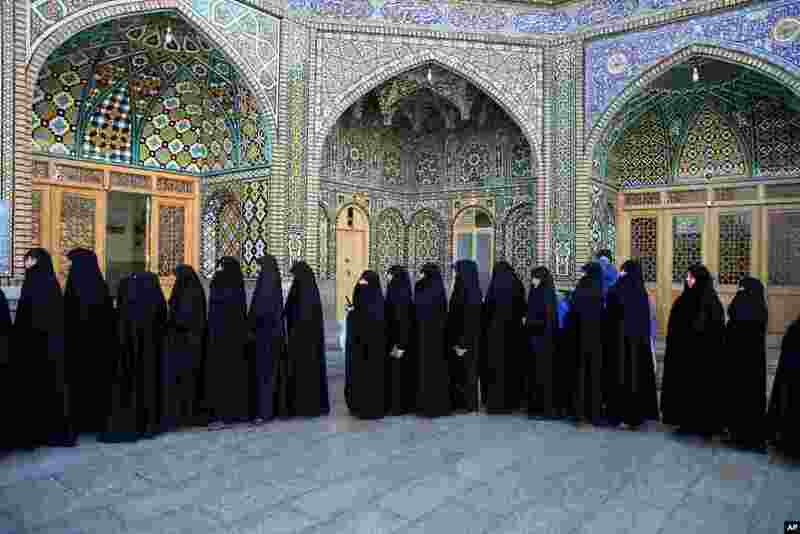 2 Iranian women stand in line at a polling station during the parliamentary and Experts Assembly elections in Qom, 125 kilometers (78 miles) south of the capital Tehran, Iran, Feb. 26, 2016. 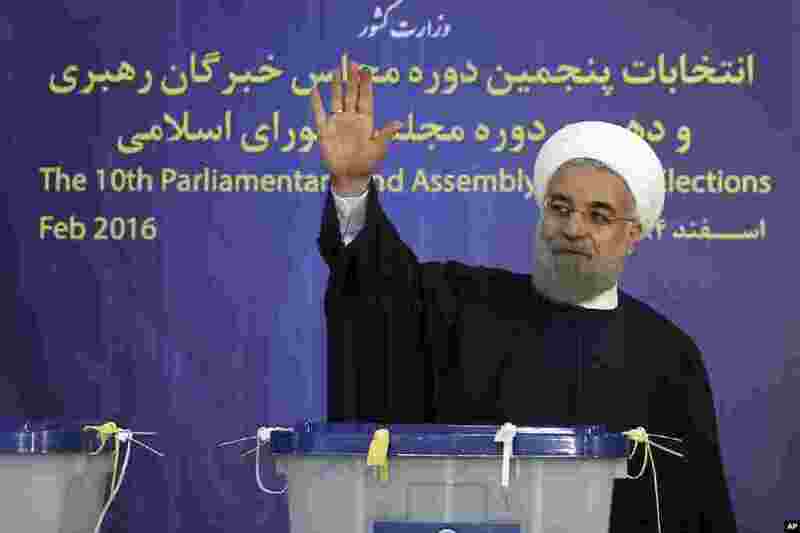 3 In this photo released by official website of the office of Iranian Presidency, Iran's President Hassan Rouhani addresses election officials in Tehran, Jan. 21, 2016. 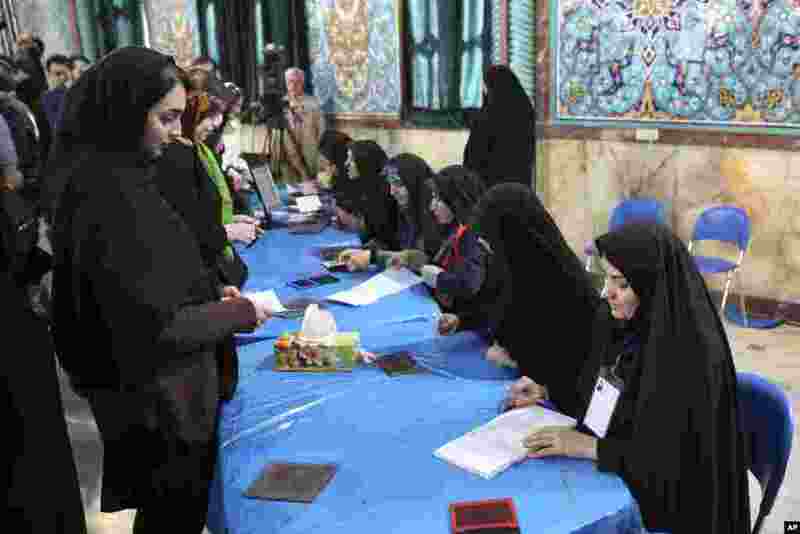 4 Iranian voters, left, arrive at a polling station to vote for their country's parliamentary and Experts Assembly elections as election staff receive them in Tehran, Iran, Feb. 26, 2016.